Love robots or rampaging AI? Do you have a thing for mechs or androids with hearts of gold? 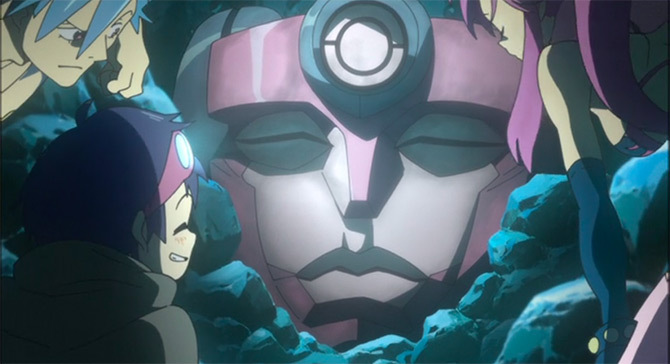 Today we’re going to run through ten robot-related shows currently streaming on Netflix. You know, in case you want to check them out. Next Gen is an animated sci-fi. When a robot called 7723 and a girl named Mai Su meet each other after an accident, they must work together to end a dangerous challenge in the form of corporate control. Mystery Science Theatre was one of those cult shows you followed religiously or had absolutely no idea about. 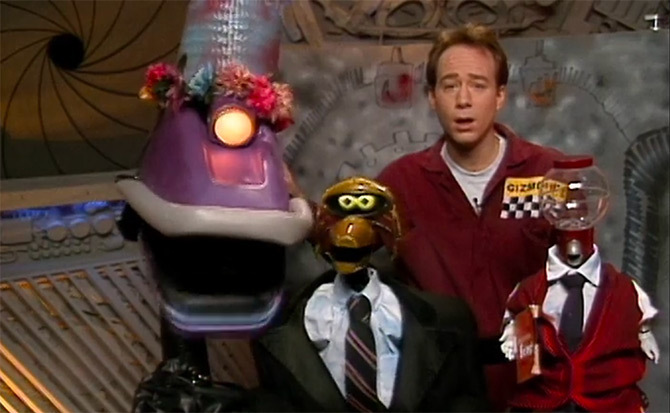 Created by Joel Hodgson, Mystery Science Theatre—or MST3K for short—ran with a simple premise. Each episode Joel would be forced to watch B-movies onboard a space station as part of a scientist’s evil plot. To help him sit through these movies he would be joined by three robots—Tom Servo, Crow T. Robot, and Gypsy. Together the four of them would rip into these B-movies with ongoing commentary. Each episode was two hours long. Watch this show if you’re a fan of YouTube-styled commentary. Gurren Lagaan is one of my favorite shows from the early aughts and something I watched in my early days of university. A mecha anime set sometime in the distant future, Earth has been taken over by a malevolent entity. This entity has forced everyone to live underground, but our protagonists—Kamina and Simon—are unhappy with this predicament. They make their way to the surface and use giant robots known as “lagaan” to defeat their enemy. This show is bright, colorful, and crazy. Watch it if you like mecha. There’s been a couple Lost in Space adaptations by now, but the one we’re recommending is Netflix’s 2018 series based upon the 1965 original. After a disaster on Earth, the Robinson family is sent into deep space to colonize the Alpha Centauri System. When they crash land they must come to terms with themselves and their interpersonal conflicts, all while being helped by a robot. Kill Command is a cautionary tale about what happens when drone technology becomes sentient. A British sci-fi written and directed by Steven Gomez, Kill Command follows a group of marines who are dropped off on a remote island to train against state-of-the-art technology. When they arrive they discover the AI have gone rogue. All hell breaks loose. The robot designs in this movie were really cool, and it’s very action-oriented. Watch it if you like military sci-fi or anything reminiscent of Terminator. We’ve talked about this show before in our recent review of Love, Death & Robots. The whole thing is literally about sentient AI, so if you’re still looking to watch it here’s your chance. The series is an animated anthology with eighteen episodes. Each episode is self-contained, and the overall series was inspired by 1981’s Heavy Metal. Looking for a robot film to make you cry? Directed by Neill Blomkamp—he of District 9 fame—Chappie is a sci-fi film set in South Africa where robots are used as law enforcement agents to deal with a massive spike in crime. When an experimental version of one of these robots is kidnapped by local criminals and give the name “Chappie”, the robot must learn to self-actualize in order to protect his newfound family. Robotech is one of the oldest shows on this list. An 85-episode anime that first aired in 1985, Robotech starts after humanity discovers a derelict space ship that gives them access to advanced technology. They then used mechs to ward off an invasion. Watch this anime if you have a lot of time. It feels like this movie came out just yesterday, but it’s a personal favorite when it comes to robot sci-fi that questions the darker aspects of human nature. Written and directed by Alex Garland, Ex Machina follows a programmer named Caleb who meets the CEO of his company on a secret island. There, he is required to monitor a robot named Ava, but he becomes so infatuated with her complexity that he falls hopelessly in love. Gargantia is such a weird little show and I absolutely adore it. A sci-fi anime that ran for one season, Gargantia follows the genetically engineered Ledo and his sentient mech Chamber after they crash land on a far-future Earth. For thousands of years, Ledo and the rest of humanity have been living on floating colonies fighting giant space squid. Everyone thinks that Earth was destroyed. When Ledo arrives and discovers that Earth is actually a thriving water world, he and Chamber must rediscover what it means to be human. Watch this film if you like biopunk, space pirates, and crazy world-building. Looking for other shows to watch? Check out our list of sci-fi films currently streaming on Netflix. Crunchyroll vs. Funimation: Which Anime Streaming Service Is Right for You?